FISHTOWN continues to be one of the hot Philadelphia Zip Codes. Between the beginning of 2015 and September 1, 2015 there have been 474 recorded sales listed in the Trend MLS. This figure does not include any private sales that were not in the MLS. On average homes spend 57 days on the market with a median DOM of 32 days. 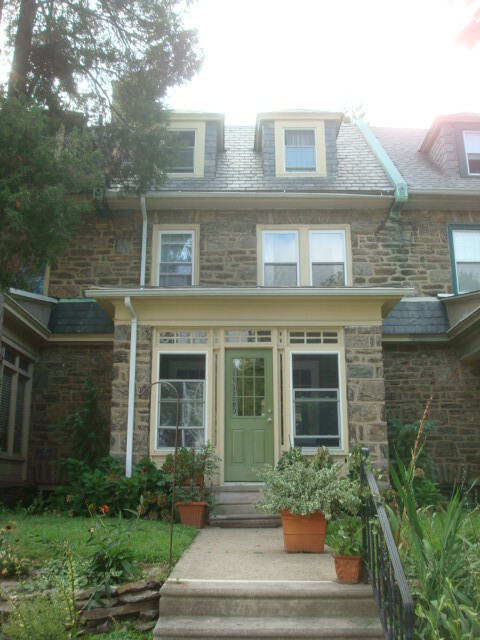 The high sale was a property on Shackamaxon Street for $815,000. The low end was a property on North Water Street for a whopping $3,000. The median sale price is $242,000 while the average sale price is a more robust $256,910. 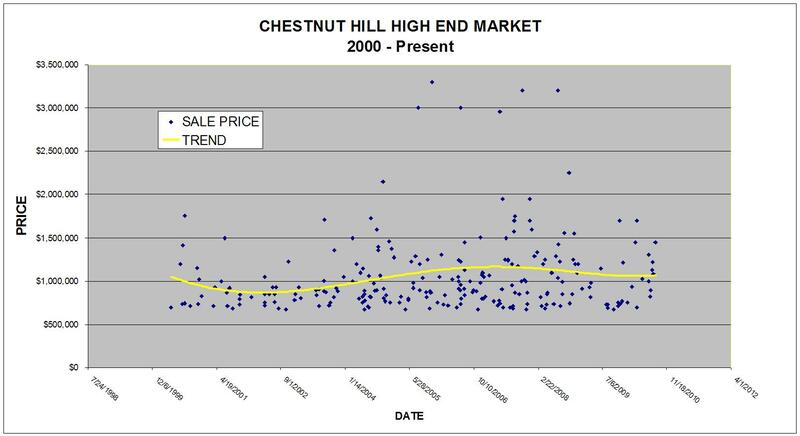 The Original List Price (OLP) to Sale Price (SP) ratio was 94.62% during this time period. If you’re an attorney or legal professional and engage the services of residential real estate appraisers for divorce, estates, bankruptcy or tax appeal, you need to read this. It could be the simple difference between your case succeeding or failing. Most attorneys’ primary concern when they order an appraisal is the final value and how it will affect their case. They are usually not too worried with how the report is presented, so long as it is defensible. Many attorneys are used to receiving residential appraisals on the URAR 1004 Form which is the most commonly used Form for residential appraisals. Why give it a second thought, right? Wrong. This could prove to be a huge mistake. Yet, all too often, this is the “go to” Form for appraisers who may not be experienced performing appraisal for legal purposes. Their mistake could cost you your case. Imagine being in court for a hearing and presenting your appraisal prepared on the URAR 1004. While the court may not know the nuances of the Intended Use of a URAR 1004, a savvy opposing counsel, township solicitor or expert appraisal witness could very easily point this out. Technically, the report is invalid as a result of the Form’s Intended Use being violated by the appraiser. The court could deem the report inadmissible and jeopardize your client’s case. There is a simple solution. There are a number of general purpose appraisal forms available to residential real estate appraisers that are also in compliance with USPAP*. They are typically called GPAR Forms (General Purpose Appraisal Report) and they address most residential usages (single family, multi-family and condo.) The Appraisal Institute has even developed its own USPAP compliant GP Forms as have most appraisal software providers. So, next time when ordering an appraisal; be sure to specifically ask your appraiser which Form they intend use. If they say the URAR 1004, you need to insist that they use a GPAR Form or you run the risk of presenting an invalid appraisal. Hopefully, you found this informative and helpful. If we can ever be of assistance with your appraisal needs for estates, divorce, bankruptcy and tax appeal; or if you have any appraisal related questions, please do not hesitate to contact us at 215.836.5500 or appraisals@coyleappraisals.com . Please watch our new video that outlines many of the services that the real estate appraisers at The Coyle Group provide to attorneys, accountants and private individuals across Philadelphia, Montgomery County, Bucks County, Delaware County & Chester County. Walt Whitman once called Camden, “A City Invincible”. Undeniably, Camden is far from invincible at this point; perhaps, “unprotectable” would be more appropriate. Despite last minute efforts, ongoing negotiations and political wrangling, the fact remains that, Camden, New Jersey, laid off 168 police officers and more than 60 firefighters. That’s more than 45% of the entire Camden Police Force. Unbelievable! Just to refresh your memory, this is the same Camden that was named the nation’s second most dangerous city in the United States in 2010…having lost it’s spot as the most dangerous city in the U.S. in 2009. This situation is the result of a $26.5 million dollar deficit, declining State aid, dwindling tax revenue and inflexible unions. 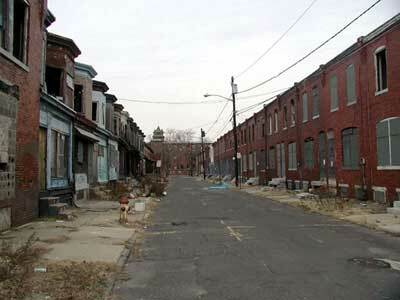 Camden is one of the nation’s most impoverished, corrupt and violent cities. The median household income is less than $27,000 per year. Once an industrial hub along the Delaware, the city has been eroding and with no reason to stay, businesses and industry have been fleeing Camden for decades. The most recent evacuee was Campbell’s Soup, leaving hundreds unemployed and a huge hole in the tax base. From a real estate value perspective, this could be the kiss of death for Camden. Who wants to live or work in a community where you do not feel safe? Granted, the feeling of safety is relative but, now with almost half of the “good guys” gone, the vulnerability felt by the average Camden resident and business is only going to be amplified. Many of the fundamental principles that drive real estate values are tied directly to human needs. One basic human need is for a person to feel safe in their own home. Another human instinct is flight from danger. Inevitably, those residents who can afford to will leave Camden for safer havens. Those remaining will be those who can’t afford to leave, the poor, and those who don’t want to leave, the criminals, the dealers and the addicts. When residents begin leaving, the ripple effects will be felt throughout the Camden real estate market. 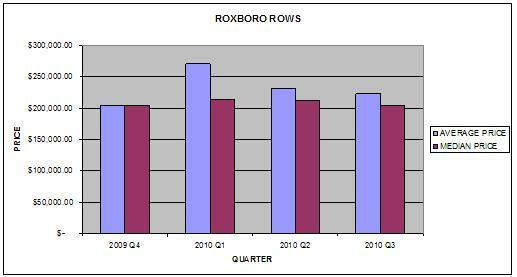 Rental vacancies will increase resulting in decreasing rental incomes. Listing inventories will swell and prices will begin to drop as more and more sellers try to attract fewer and fewer buyers. Vacant and abandoned homes will also add to the problem as property owners decide to cut their losses and walk away. The simple economic principle of supply and demand would point toward continued declining property values in Camden, in the near and foreseeable future, regardless of whether or not an agreement can be reached between the City and Police Union. Despite all Camden’s social, governmental and economic woes, there is room for hope. 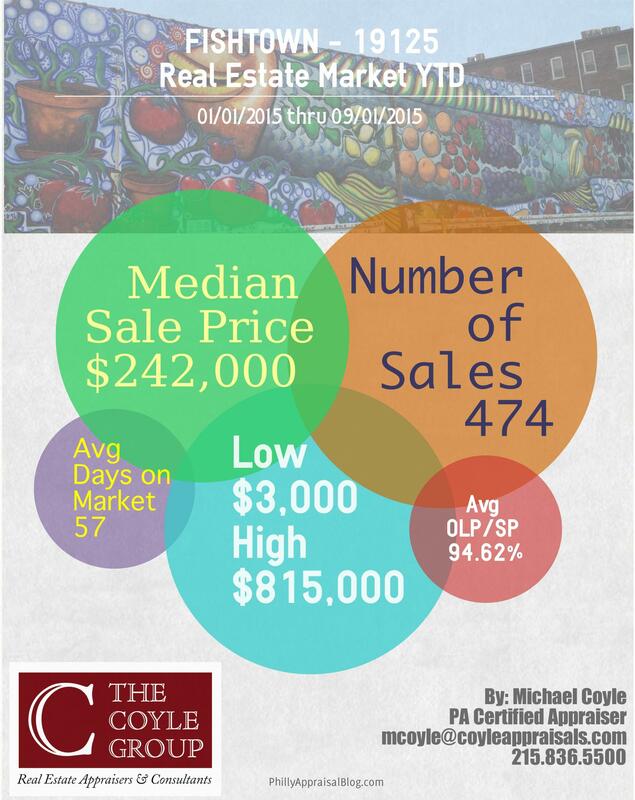 From a real estate viewpoint Camden does have some good things going for it. It has the waterfront, bridge access to Philadelphia, rail access to New York, Cooper Hospital, Rutgers University, The Comcast Center, the Camden Adventure Aquarium and the Rivershark’s Stadium. With luck, entrepreneurial spirits will step forward, and private investors and developers will decide to take a risk. It may not happen in the next few years. It may not happen in our lifetime. However, I believe that the private sector will step in as some point and initiate a profitable effort to reinvent the decaying city, making it once again worthy of Whitman’s words. In the meantime, we can only hope and pray for the safety and well-being of our neighbors (and remaining Police and firefighters), in Camden. TReND, the Multiple Listing Service that serves the Greater Philadelphia Markets, does a great job of publishing timely and relevant reports about real estate trends in the Philadelphia area. 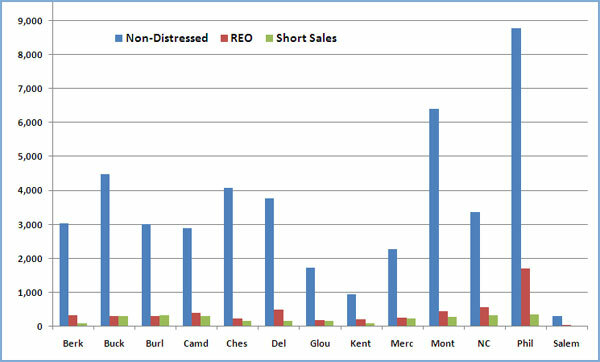 Below is the report that they released this week showing the affect of Distressed Sales on the local markets. TReND is always trying to improve their service and this is just another example of the new and innovative products that they offer. Frankly, after reviewing the report, I was surprized to see that Philadelphia was lower in terms of distressed sales than some counties in New Jersey and Delaware. 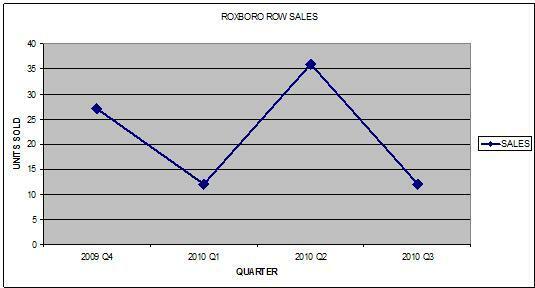 But, it’s all relative to the total number of sales and, Philly, by far has the greatest volume of sales. Below is a link to the full report. If, for some reason you can’t get to the report, let me know. Distressed Sales: TREND Percentages Lower Than National Average. Part of our coverage area is the City of Philadelphia. Obviously, being located just outside the city limits of the 5th largest metropolitan market in the county, it would be a pretty poor business decision not to appraise properties in Philadelphia. The other day I was in South Philly…one of my favorite parts of the City. 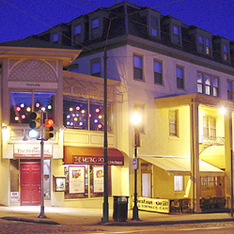 South Philly is a patchwork of small neighborhoods, each with their own character and flavor. This stems from the immigrant population that used to live in these tight knit communities when they were built to house factory workers in the late 1800’s thru 1940’s. Each group (Italians, Irish, Germans, Jewish, etc.) imprinted their own ethnicity and personality on the neighborhoods. Frankly, it’s what makes South Philly great! 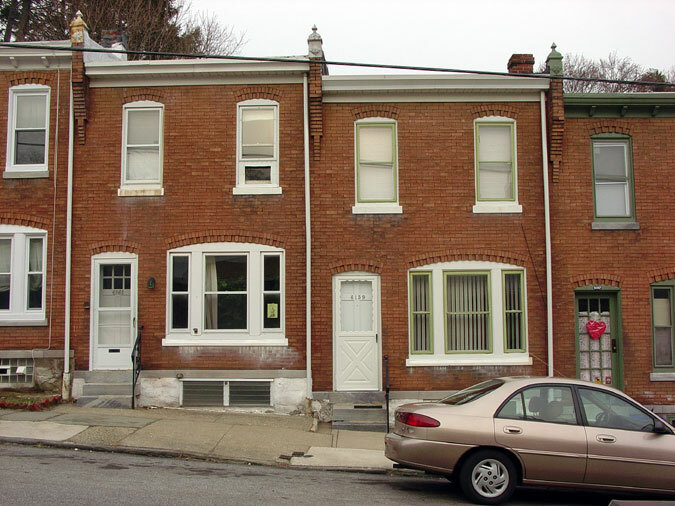 The most common housing type in South Philly is the 2-story, flat front row house. They are anywhere between 11′ to 16′ (the masons weren’t too exacting) wide and typically have 2 to 4 bedrooms. It was easy to build them quickly and at a high density. It’s not uncommon to have 60 homes or more in one city block. Being that the houses were so bland and homogeneous, there wasn’t much a builder could do to make his product different from the next builder’s. Some used shutters and ornate cornices, but others used the front door to make their statement. 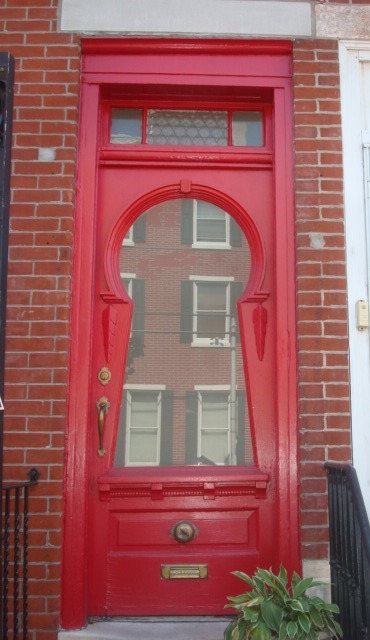 This South Philly red door is a prime example of how Philadelphia builders at the turn of the last century added a little curb appeal to their homes. This door is original with it’s “keyhole” shaped leaded glass window, brass mail slot and old “crank” style doorbell. It really sets this house apart from the others on the block. Funny how curb appeal is still so important when it comes to real estate. I was invited to speak at the monthly meeting of local Caldwell Banker Agents and Brokers. I was there to discuss the appraisal process, recent market trends and how the HVCC is affecting agents and their clients. After speaking, I opened up the floor to questions. One of the first questions was a great one. The agent asked me to explain the difference between Price and Value. I’ve been thinking about it and have come up with the following explanation. 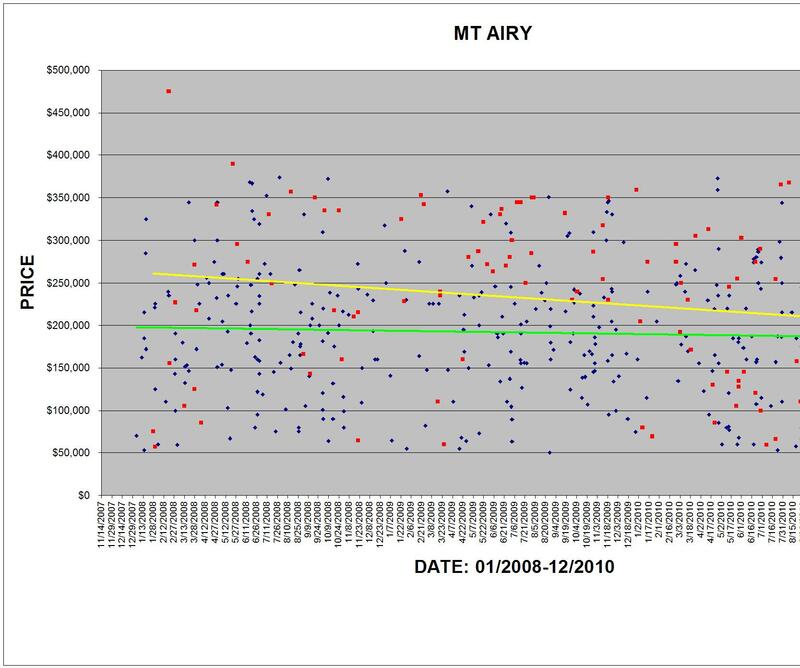 When viewed against the backdrop of recent marketplaces shifts both locally and nationally over the past few years, the difference between Price and Value has become more and more important to understand. In fact, I feel that most Agents and their clients are using the terms incorrectly. When discussing a property most Agents and their clients are thinking in terms of price. “What is the price of the house”, “will they come down in price”, “that price is high/low” and my favorite “did the appraisal come in at the selling price?” The fundamental problem in these scenarios is that it is not about price, it’s about value. The focus should be on what the value of the home is, not the price. Value takes into consideration today’s market and underlying market conditions. Price often does not. Price is a marketing tool. By setting a price, the Seller is actually choosing a segment buyers who will hopefully see the price as being the value of the property. The closer the Seller positions the price to the true value of the property, the larger the pool of potential Buyers the house will appeal to. Just the opposite is true, as well. The further the price is placed from the actual value of a property, the smaller the pool of buyers who will see that value. 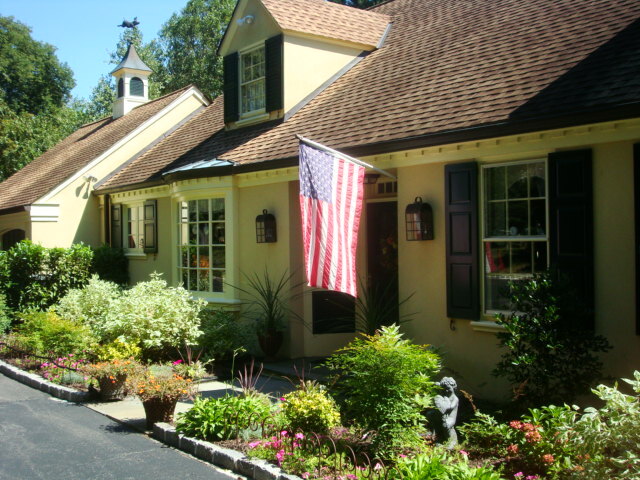 An example of this was this property in Gladwyne. 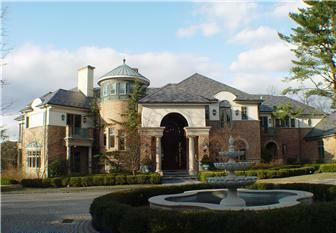 This property was listed in 2009 for $19,500,000. It was eventually withdrawn from the market. In 2010, it was re-listed for $17,900,000. All totaled, the house sat on the market for more that 660 days. Remember value is guided by the market. Price is guided by the individual Selling the property. If the price is not supported by the market, no sale will occur. Common perception is that price and value are interchangable. They are not. Value relates to what something is really worth. That is, what could one expect to receive in terms of money in the free market? It doesn’t matter what the value was last year, last month, or even last week. 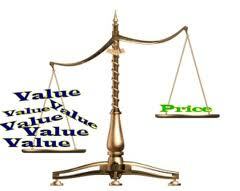 Value is determined by the conditions and influences of the current marketplace. Too often, sellers get hung up on that fact when the marketplace moves in the other direction. They don’t want to acknowledge the fact that their home was worth $800,000 a year ago and, based on supply and demand, is only worth $700,000 in today’s market. Value is determined by the scarcity of something and the ease of replacement with similar, equal, or better products or service (i.e. The Principle of Substitution). In its most basic form, this is a simple function of supply and demand.